Homeless Persons Unit at Drinan Street must be Closed Down! Cork’s Housing Action Group are holding a second protest at the Homeless Persons Unit at Drinan Street in Cork tomorrow, Wednesday 25th, starting at 9.30am. The group are calling for the facility to be closed down and fit-for-purpose facilities and services to be provided, so that vulnerable service users are respected. 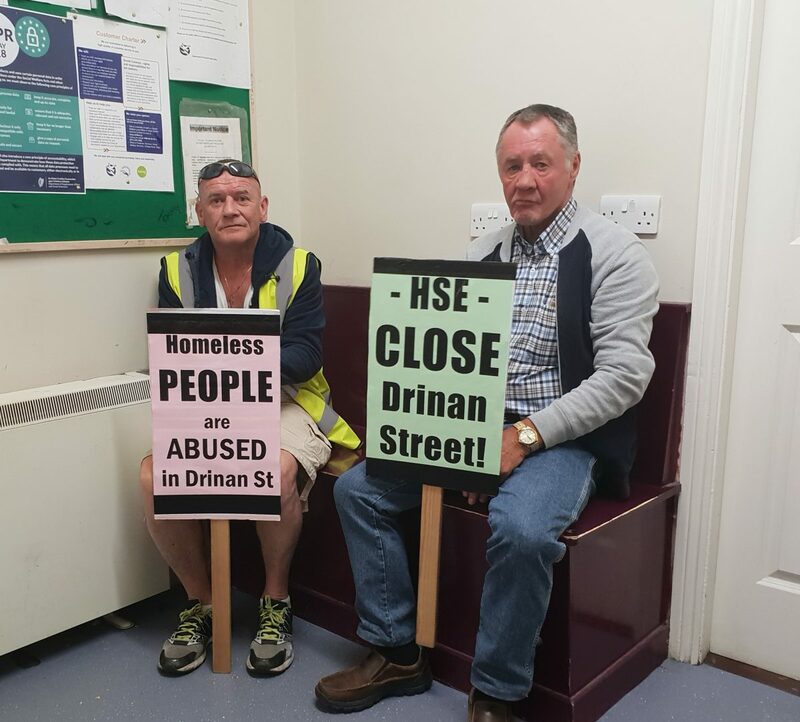 Responding to the group’s protest on June 21st last, the Department of Social Protection (DSP) who have responsibility for the unit, have accepted that the facilities at Drinan Street “are not ideal”. In a letter to the Housing Action Group the DSP says that they are addressing the issue, that a “process is in train”. The group has mounted this second public protest and have written again to the DSP’s facility manager demanding that the unit be closed and proper services provided. Cllr Ó Cadhla confirmed that Drinan Street was discussed this week by Cork County Council’s Housing committee, members expressed broad dissatisfaction at the services and facilities available there. Both city and county Council contribute to homeless services in Cork and Ó Cadhla has called for the establishment of a Members Oversight Group so that Council members, as opposed to staff only, review the experience of users of homeless services.